We had a paper survey in the room and filled it out, perhaps you can get a copy from Lokelani Condos that gives the specifics of our stay. The unit was very nice. The view was spectacular. We paid extra for the A/C in the bedroom and it was well worth it even though it never got that cool and was loud. We also used the overhead fan and a small fan in the bedroom to stay cool. 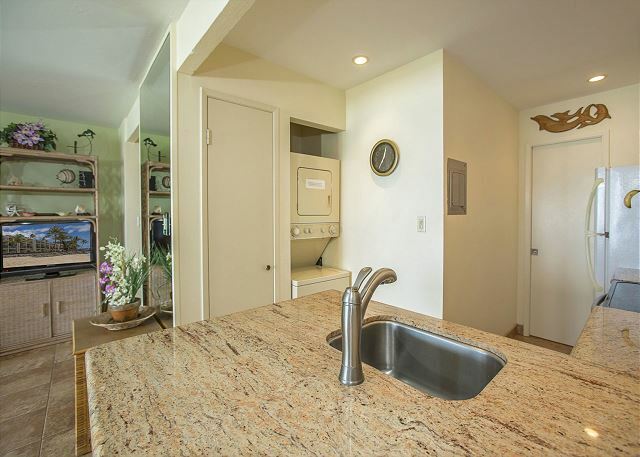 The bathroom and kitchen were nice, new granite counter tops and faucets. Great water pressure in the shower. Refridge seals were not working properly so you had to make sure it was shut tight because it didn't close properly. Unit needed some deep cleaning of cabinets, walls and doors. Pool was nice. Saw lots of turtles on beach and in water. Beach was great for swimming and snorkeling. Had a great time and will be back. Thank you for staying with us and letting me know about the seal on the fridge, the issue was addressed. We appreciate your time to make recommendations on how this unit can be further improved. We look forward to your return. This is our 5th or 6th time at Lokelani and just love it. Small complex, quiet, small beach, always watching the turtles. Aloha and thank you for staying with us again. we look forward to your return. Our family cannot wait to go back. 13 steps to the ocean and ocean views from our condo. It was great being on the ground floor and we loved that we were so close to the beach. It was perfect for a quick dip in the morning or before heading out. We were close to everything and within a 10-20 minute drive to the Blowhole and to Lahaina, with lots of beaches in between. We loved it! The unit was well stocked too although we did buy shampoo and bar soap rather than only using the body and hand wash supplied. We had perfect weather to top off our vacation. Thank you for staying with us. Cant wait to have you back. We stayed in C102 for two weeks. Swam with the turtles, snorkeled, saw whales. Great place with the water feet away. My husband and I just returned from a 2 and a half week vacation to Hawaii. We stayed in six different accommodations on three different Hawaiian Islands and out of all the places we stayed Lokelani was my favourite! 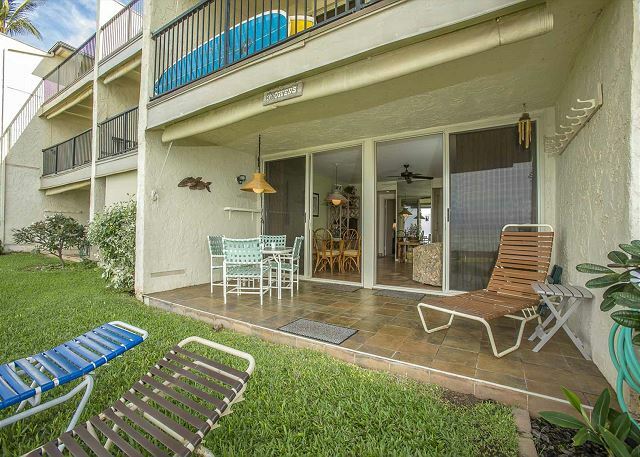 We loved that we were right on ground level and could just walk out onto the lanai right next to the Ocean! The place was clean, spacious and oh so peaceful! The unit was very well equipped. We enjoyed watching whales right from the comfort of the lounge chairs on the lawn next to our patio. We also loved visiting Lahaina (Cool Cats Cafe has the best burgers!) and snorkelling in the waters around the condo! It was a wonderful stay! 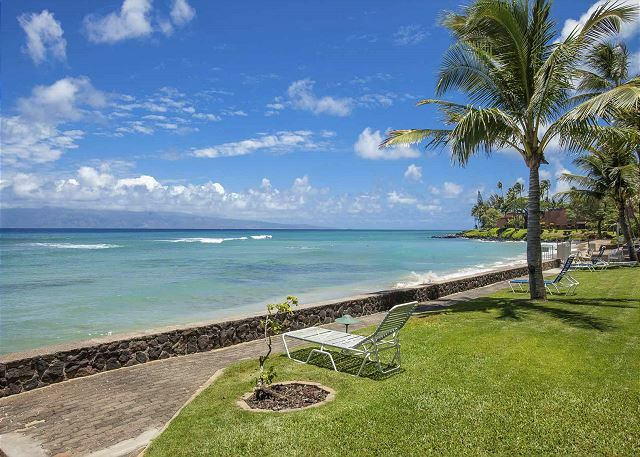 The Lokelani is a small property with a great location and has a beautiful view. The ocean is only 40 feet from the walkout patio and a great sunset to watch every night. Love the property and opened to return again. We saw lots of turtle on the beach, fantastic. The unit above was being remodeled and my only complaint was that the contractor was consistently working outside the hours he was suppose too. He also broke thru the ceiling. The property managers would constantly intervene, but he just ignored them. I applaud the property managers efforts. Fortunately next time we are there the construction will be done. Paul D from Beccar, Argintina does not recommend this vacation rental. Location and view from the living room is great. Bathroom was not so clean (small hairs in the basin) and there was a charge for "cleaning" that never happened during our stay, they do it once you check out. Price is way too high and on top of that they charge you the cleaning fee, but towels are never changed and nobody cleans during the stay. We stayed with our teenage grandsons and it was perfect. They loved staying out on the patio late into the evening and watching the waves. We loved the patio in the early morning watching rainbows appear over Lanai. We snorkeled near the reef at the beach and saw fish and turtles. Great memory-making vacation! Awesome place! The view and sunset, magnificent! Like this place a lot. The location was perfect for us. We can walk or drive a short distance to places like restaurants, groceries. 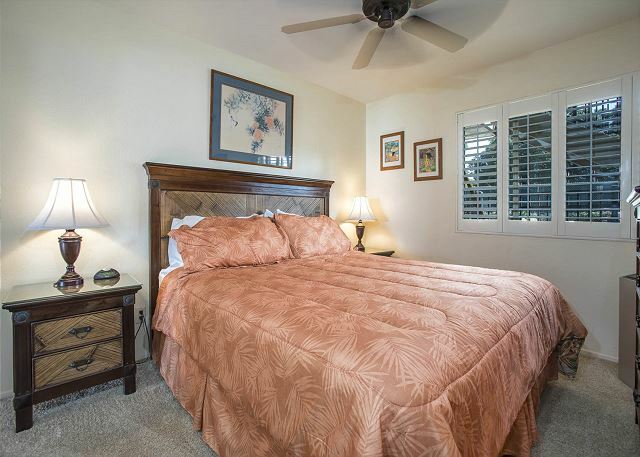 Very close to Kapalua airport. The view was fantastic from our condo. We got lucky and had 2 sea turtles on our beach one day! The beach was awesome, water very was very clear. The only downside was the no AC in the unit. But there's one in the bedroom. You have to pay if you want it on. They do have fans everywhere and the breeze at night was fine if you want to leave the sliding door open. This was my 5th stay at Lokelani and I won't stay anywhere else. The Condo was great. Not fancy but had everything I needed. The sunsets were amazing, the turtles were abundant and the atmosphere at Lokelani was relaxing and friendly. Liz was lovely and accommodating as usual. We have been coming here for years.I really love the first floor units with the lanai opening to the lawn. The beach is right there. You can just spend your days here without having to go anywhere, just enjoy the view. It's just a short walk to the farmers market/store when you need fresh papayas or your Bad *** Coffee fix. I want to retire here. Very nice, clean, had everything we needed. No complaints. It was what it was advertised to be. 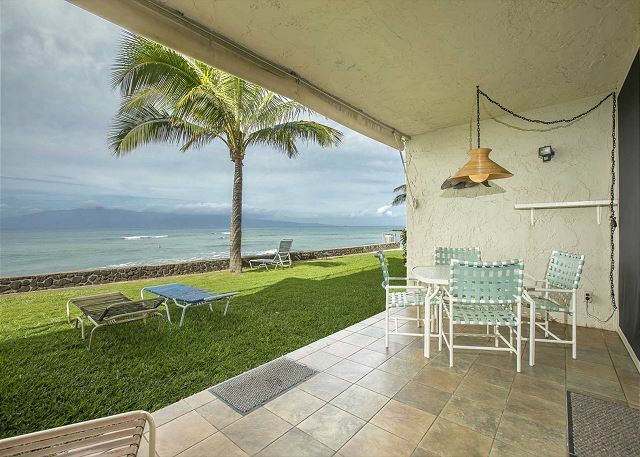 The condo was what we expected and more.For our first in Maui location for us was perfect. Really enjoyed the unit. Would definitely stay here again. Loved being so close to the ocean and seeing the sea turtles right off the shore. The only thing that wasn't stellar was the sofa. From the photo it looks great, but it needs replacing (lumpy cushions and uncomfortable hide-a-bed.) The King bed in bedroom was very comfortable. Kitchen will supplied. Felt safe at this location. 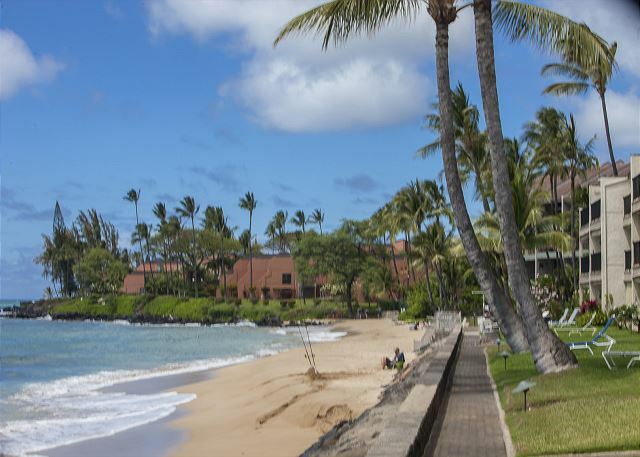 We have been going to Maui for over 30 years and have returned to Lokelani twice yearly for the last 4 years. It is by far our favorite location. 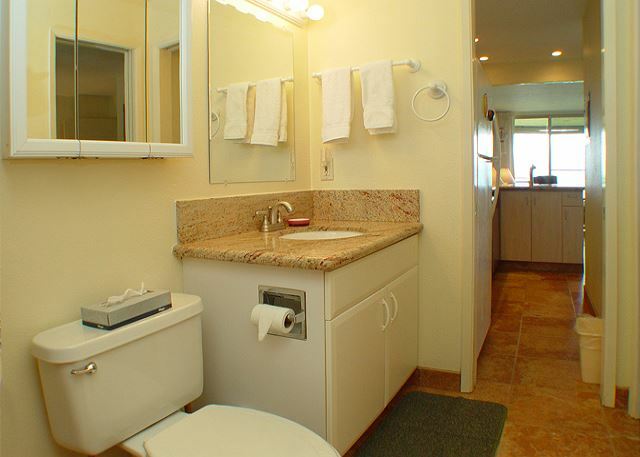 Oceanfront, comfortable units. Often times the turtles on relaxing on the sure to observe the privacy and safety rules for them. 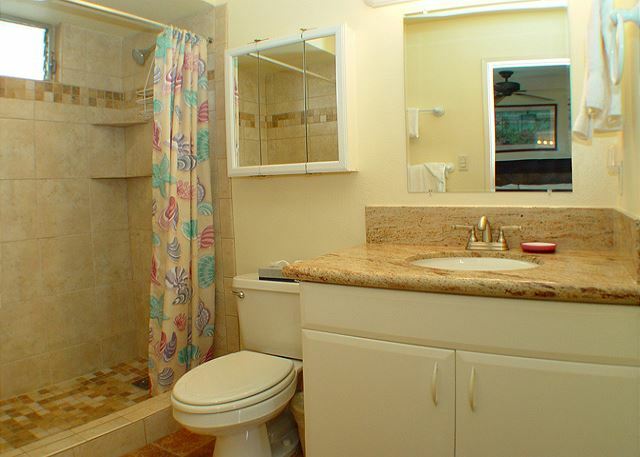 We could not have been more pleased with this property and our stay in the condo. 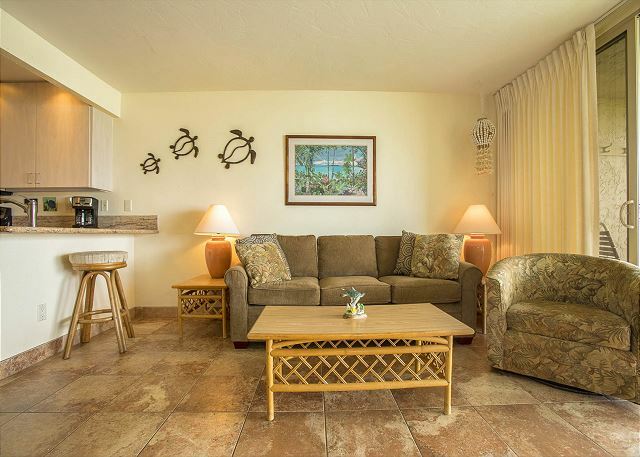 It was exactly what we were looking for, a quiet, peaceful Oceanside condo that was fully equipped with anything you might need. We saw turtles everyday in the water. We will be back to C102. Our fifth stay at Lokelani, this time for 16 days. Great condos. All units are beautiful ocean front. Kitchen was well stocked with quality utensils, dishes, cups, glasses, pots, pans, and etc. Lots of towels, including large beach towels. Very comfortable King size bed. The optional AC was well worth the additional cost. Management was excellent, friendly and very cooperative. Next year, we plan on staying for 3 weeks. What a beautiful location, we could see the sea from our bedroom and watch the waves rolling in even before we rose for the morning. What a way to start a vacation. 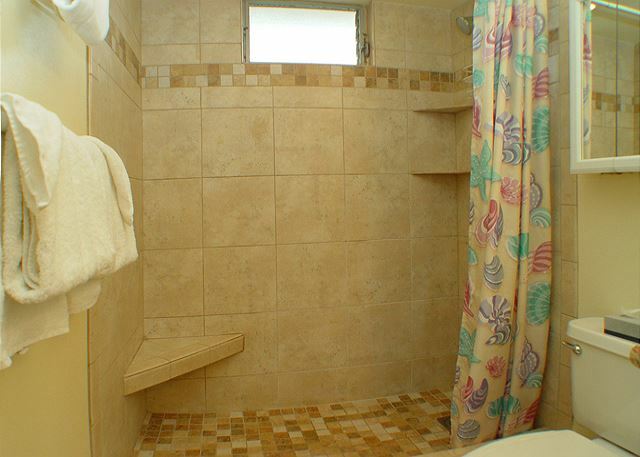 The accomodation was spotlessly clean with all the equipment necessary for your stay. An eventful start to our holiday made it that our vacation started with a member of our party having a reduced amount of mobility, so whilst sitting relaxing on the lanai we watched the whales in the distance breaching well above the water (great the unit had binoculars for guest use)time and time again, stunning. We can highly recommend Lokelani's location and we plan to return next year. Many thanks. 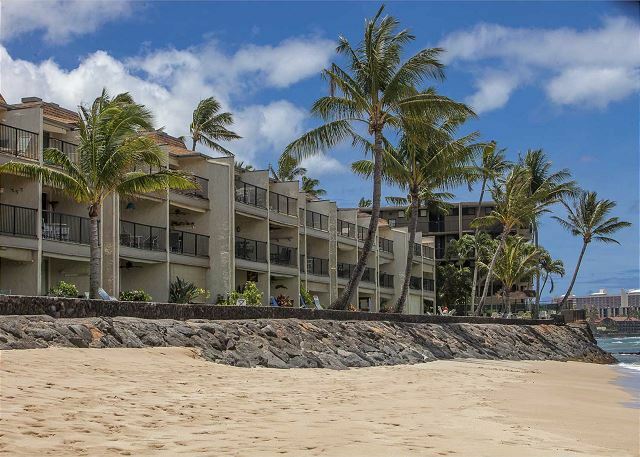 We have been going to Lokelani Condos for 10 years and recommend them to everyone. Nice small, water front complex. 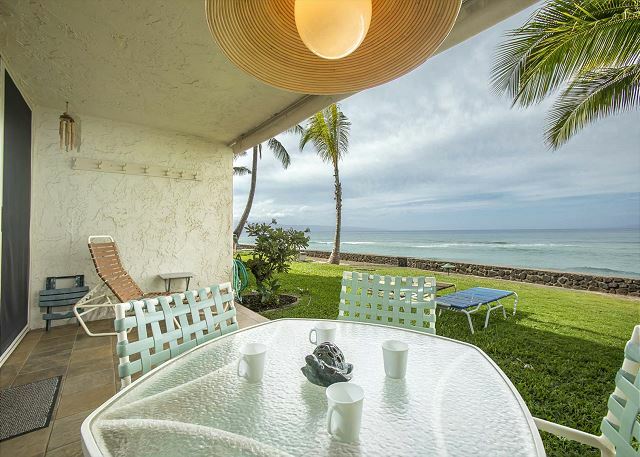 You cannot beat the location, accommodations, and views anywhere on the island, especially for the price. Office and ground staff treat you like family. Everyone is welcoming and accommodating. HAD A GREAT TIME FROM CHECKIN TO CHECKOUT. GREAT TO WALK OUT THE PATIO DOOR AND BE RIGHT AT THE SEA. WATCHING WHALES FROM THE PATIO DOOR AND SEA TURTLES ONLY 15 STEPS AWAY. GREAT BEACH AND SNORKLING AREA LESS THEN 100 YARDS FROM THE UNIT. KIM WAS EXCELLENT IN SUPPLYING ANYTHING WE WERE SHORT ON INSIDE. WEATHER GREAT AND JUST A SHORT WALK TO A FARMERS MARKET. COULD NOT BE HAPPIER AND PLAN TO RETURN AGAIN. 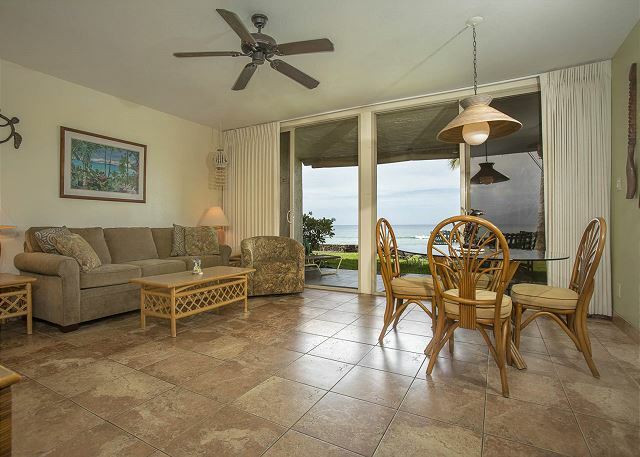 Great condo, great view, great booking staff. Lots of turtles and even saw a monk seal! My BIG issue is that the condo advertises quiet times from 9pm to 9am yet the groundskeeper fired up the lawnmower at 8am. 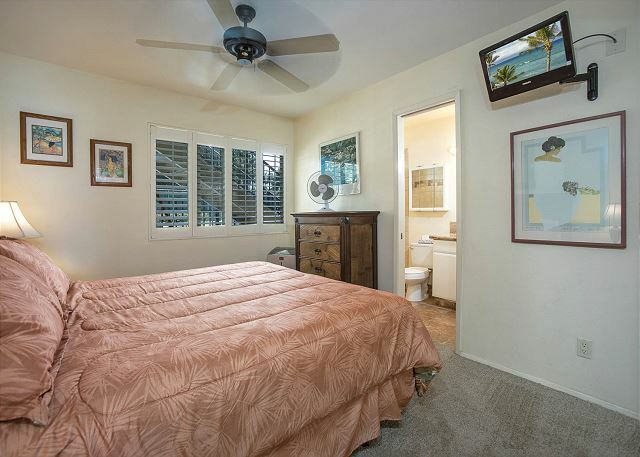 Our lanai was ground level so might as well have been in my bedroom. If it wasn't the lawn mower he would rearrange chairs at the pool before 8am and drag them along the concrete rather than lift them again waking me up well before quiet time ended. Lastly, although I respect the rule that visitors can use the visitor stalls for 3 hours maximum, during our stay these were never all in use and had friends visit for two nights. On the second day the groundskeeper called a tow truck on my friends. Never did we prevent someone from parking. A friendly reminder of the rule and we would have parked on the street. He did not display much Aloha and because of all this I may not stay here again which is a shame. We totally enjoyed our stay in condo# C102, it was very clean, well maintained and convenient to shopping/restaurants. I would definitely recommend this property to relatives and friends. The staff (Kim & Liz) are so friendly and welcoming I felt like we were old friends. Kudos to Kim & Liz for making our stay so enjoyable. One restaurant that was fun for breakfast is called Slappy Cakes, very close to the condos. All of the tables have grills built in them so you can grill your own pancakes. This was a fun experience and I'm sure children would enjoy it. I would recommend the Sunset cruise at Lahaina Harbor on the Maui Princess for their diner cruise. My prime rib was cooked to perfection. I would also recommend having dinner & cocktails at Mick Fleetwood restaurant located across the street from the Maui Princess. I could go on and on how much we enjoyed our stay, but I won’t. 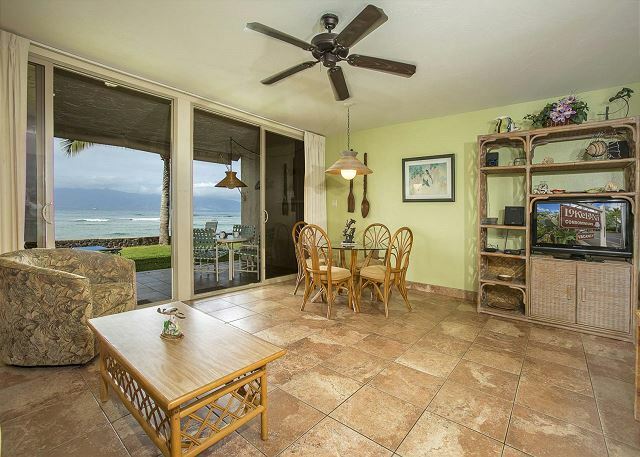 I know when I go back to Maui, I will definitely stay at Lokelani Condos. 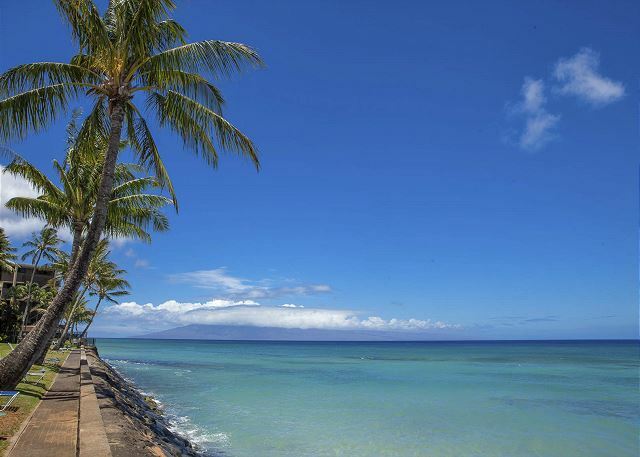 Sitting on the Lani looking out over the ocean, truly makes you feel like you are in paradise. This was our 4th visit to Lokelani, the first stay in this unit. 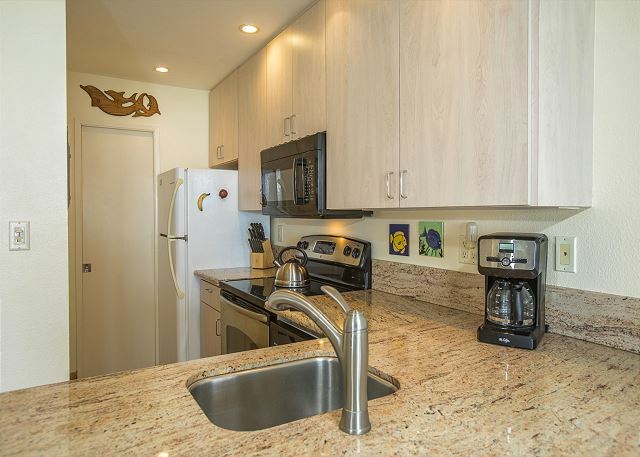 It has been updated with newer amenities and is a very comfortable unit, just steps from the beach. This is a must stay at this condo. All units are great. Beach just feet away. Sunsets right in front of you. Not as much fun for little kids. Peaceful, quiet,relaxing. Highly recommend.